Planning a holiday or Christmas party is almost sure to create lots of stress if you wait too long to start planning you’re event so get started today. We have years of experience with holiday and Christmas party planning from a simple stage to a full city of lights festival with ice skating to holiday trains. Pick a date and budget for your holiday entertainment and this will help us make suggestions to fit your needs. Do you need holiday music? Food, Drinks or props? Planning a party at your facility is sometimes easier if you have the room because you can utilize your own facility and have more time to start decorating and bringing things over. If your holiday party will be at an offsite location more planning will be involved and everything will need to be delivered and removed in a timely fashion. 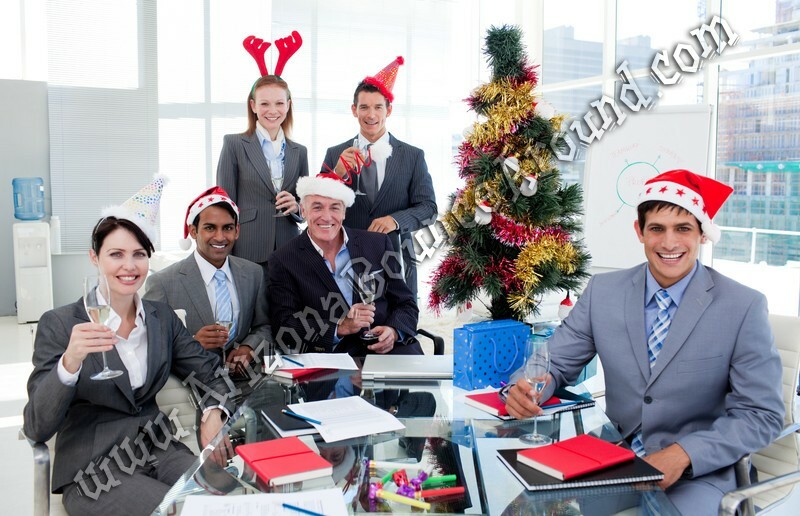 You can save a significant amount of money if your holiday Christmas party is in late November or early December. Most venues are already decorated for the holiday season, which means that you may not have to purchase decor or other costly items that might be beyond your budget. We have lots of holiday party rental equipment like dance floors, stages, tables and chairs and more for the perfect Christmas or holiday party. We provide delivery and setup as well as complete entertainment like DJ’s, sound and lighting and more. We have lots of games and activities that can be corporate branded just for your party like our holiday photo booth that will print you're logos or message at the bottom of every print and you get a copy of all the photos taken at your event to keep all neatly organized on a flash drive. Our beautiful propane heaters and portable bar rentals will make your holiday party look amazing and our beautiful trackless trains are a great way to see the holiday lights or transport guests.